This course will examine the impact of Pop Culture in the United States that help make up our unique American culture. 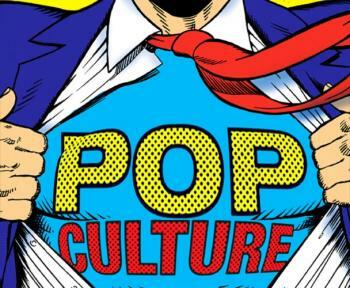 Students will analyze and predict how society effects pop culture and the way that pop culture impacts society. Each unit will include a brief overview of the significant historical developments of the time period. We will then examine the popular cultural developments that coincided with the historical events. Mass Media, music, literature, film, radio, tv, sports, fashion and advertising will be some of the focus areas for study. This class will give an opportunity for students investigate variety of different pop culture influences that have become part of the American identity. -Gain an understanding of the relationship of American society and Pop Culture. -Analyze the evolution of different media i.e. silent film to present. -Gain exposure to an assortment of film genres. -Study in depth a particular type of file genre. -Evaluate different pieces of work from the different Medias. It is the goal of this class to let students have the chance to expose the popular aspects of these different influences that they would not normally have the opportunity to experience. There will from time to time be small quizzes to check understanding of reading assignment, class discussions or other materials. It will prove very critical to keep up on homework as the year progresses. Unless otherwise instructed, homework assignments are due the following day at the beginning of the class period. Late work will be accepted only once per Semester. This free HOMEWORK PASS allows you to turn in the assignment late and get credit. Must be completed before unit test or 2 weeks, whichever comes first. 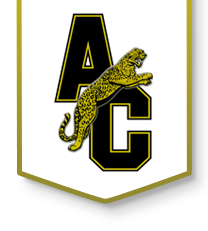 Students who are absent, for whatever reason, are responsible to get assignment when they return to school. It is expected that everyone will make a serious effort to participate appropriately in class and group discussions. * Projects or tests that students are aware of ahead of time will be due the day they return from absences. If a review was missed, student will take test upon returning unless new material was introduced. No food or drink allowed in class other than water bottles. Head must be self supported at all times. Tardies and bathroom passes: You are allowed one tardy without detention being given. Bathroom passes count as tardies and phones are required to be given to me as a pass. The course will be organized somewhat chronologically through 20th century. After a brief introductory lesson in basic sociological concepts, the class will start looking at the society of the early 20th century. Each time period unit will focus on the major pop culture impact and changes that were occurring. Students will be responsible to reflect and analyze the various aspects of pop culture as different examples are made available in class. Students will also spend time in both individual and group projects investigating further the aspects of pop culture that they have interests in. Goal: This unit will establish a basic foundation of cultural terms and perspective to work from for the remainder of the course. Recognize different aspects of how culture is passed on within a society. Understand and use the Sociological perspective. Recognize the impact of media on a culture. Goal: Student will become familiar with the pop culture from the very late 1800s to 1920 and study an example from this era. Critique early American standards from Dixieland, Ragtime, Marches and Vaudeville. Research and give presentation on topic of choice from time period from 1900 to World War I. Understand the importance of early technology and artistic techniques introduced to early silent film. Examine the works of Edwin Porter, D.W. Griffith and others. Create a list of the most influential theatrical pieces of the century with rationales of the choices made. Start a list of most influential people or pieces of music from the last 100 years.Each addition to the list must be substantiated. Goal: Students will examine the rapid changes that started to take place in pop culture due to the introduction of talking movies, radio and phonographs. Students will also explore the changes in society sparked by the end of World War I, the post war prosperity and the prohibition era. Explore the changes of attitude that the horrors of World War I had on America. Review a variety of movies and movie shorts from the 20’s including both silent and sound films. Analyze the evolution of music styles and the connection with the past. Discuss the impact of the invention of radio. Understand the new styles of advertising and create an advertisement in the style of the20’s. Investigate into the world of the speakeasies and organized crimes impact on the entertainment of America. Briefly examine the literature movements and the message that authors were trying to make. Investigate some of the movements of theatrical production of the decade. Add to the list of most influential people or pieces of music from the last 100 years.Each addition to the list must be substantiated. Goals: Continue to study pop culture and its connection with the rest of society, specifically how the depression influenced the entertainment of the decade. Study the life of the poor during the depression. Analyze movies as an “escape” from the harsh realities of the 30’s. Understand the increasing role of radio as a medium for entertainment, news and political tool. Continue to review movies and the evolutionary process of style and artistic qualities in the movies. Goals: A variety of assignments will examine different strains of pop culture from World War II through the Golden age of Hollywood. Follow the development of musical styles and the artist from Big Band, Jazz, Blues, Country, Soul, Rock, Pop, and others as they intertwine and move towards the music of today. Research an individual performer or a style of music and give presentation to class. Study the evolution of radio and its replacement by television as the nation’s main source of entertainment and news information. Become familiar with entertainment stars that were able to cross over from radio to television or film. Examine television and it’s reflection of American values from such classics as I Love Lucy and the Honeymooners from the 50’s to the Simpson’s and Married with Children of the 90’s. Choose a visual artist to give a brief presentation on as to how they influenced Pop Art. Study the movie industry with special emphasis on the studio system and the way that movies are produced. Review a number of movies that had a great impact on film as both a business and an art form. Understand the roles of film producers, directors, actors, score composers, screenwriters and others that make the movie from beginning to end. Examine the influence that drugs and protest of war had on the era. Goals: The unit will be a brief overview of the most recent developments and present the challenge of predicting the next steps and developments that will occur. Make predictions for the future based on the knowledge of the past and present developments. Finish the list of most influential people or pieces of music from the last 100 years.Each addition to the list must be substantiated.